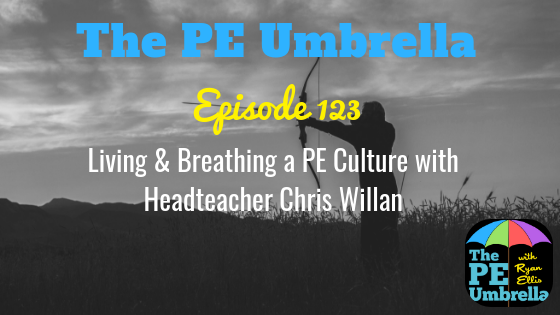 Welcome to episode 118 of The PE Umbrella Podcast, the only Primary PE podcast in the world, as we talk ALL things Physical Education. I am absolutely delighted to be bringing you this very special episode in which I’m joined for the first time by a headteacher on the show. 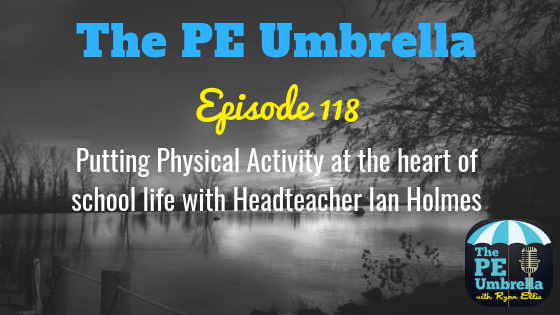 Ian Holmes epitomises a forward-thinking Headteacher and has a wonderful perspective on how quality PE and daily physical activity can impact the physical and mental wellbeing of the children at his school. 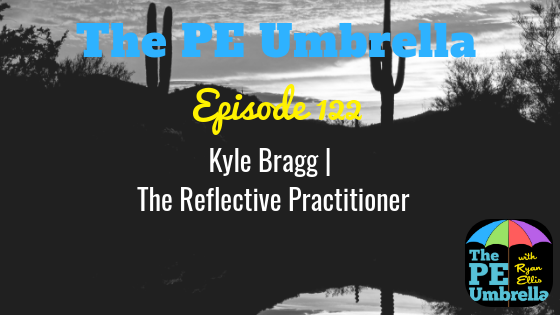 During this episode, we talk about his decision to break from the ‘norm’ of what most schools are doing and trailblaze the way for embedding physical activity into every school day in a purposeful manner. We unpick the difficulties, potential pressures and ask why more schools aren’t doing this. Not only that, we delve into his time in the classroom as he shares his worst ever PE moment, his top class management tip and top warm-up! As with the last episode, I can’t even bring myself to time stamp this episode as I’d dread for you to miss out on what is a truly fascinating conversation with Ian from start to finish! Whether you teach here in the UK or anywhere else around the world, there is plenty to take away from Ian’s vision and attitude towards Physical Activity and the role it plays in the development of children! Get that pad and pen ready…Knowledge Bombs are incoming!